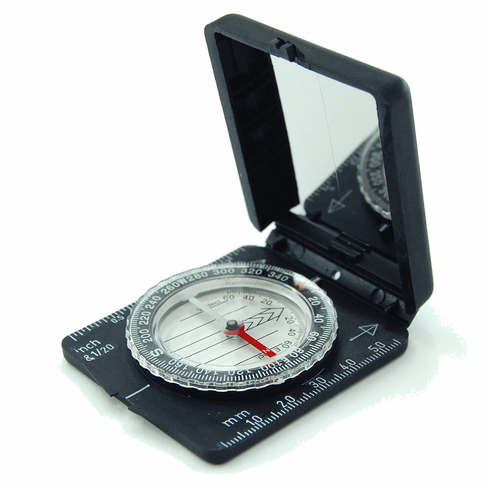 This convenient compact sighting mirror compass is a great value, and folds up securely to tuck away in your pocket. The rotating bezel features 2 degree graduations, the compass capsule features a declination correction scale, and the sighting mirror features a sighting line. Other features include an inch ruler, cm ruler, and a sighting 'V' just above the mirror. This compact mirror compass folds down to just under 2.5 inches square, and only weighs 1.3oz.